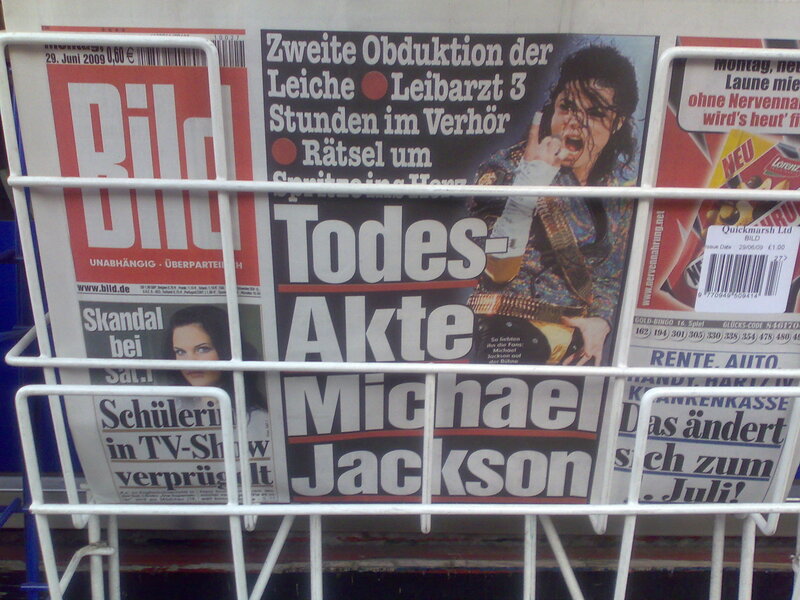 If you thought the British press have blood-dripping headlines, think again: German “Sun” equivalent BILD Zeitung presented their version of “This is it”: DEATH FILE Michael Jackson. Is that maybe a wee bit theatrical? Or is this German Efficiency at work?